When I was young I loved seeing rainbows after a good afternoon thunderstorm. Not only was it a beautiful display of God’s handiwork, it also reminded me of many Sunday School lessons about God’s promise not to destroy the earth with a flood. Rainbows are covenantal; they carry divine significance. “I have set my rainbow in the clouds, and it will be the sign of the covenant between me and the earth” (Gen. 9:13). Born and raised in North Carolina… I grew up swimming in creeks, catching crawdads, riding in the back of pickup trucks, watching the Dukes of Hazzard, and listening to Lynyrd Skynyrd. I love the smell of honeysuckle, campfires, fresh cut grass, and wind blowing through the trees in the springtime. Yes, I’m a southern boy through and through. In the south what most call confederate flags, we called rebel flags. The rebel flag was seen readily flying on porches, bolted on the front of automobiles, and ironed on tee shirts. What I didn’t realize as a 12 year boy is that thirty years later rainbows and rebel flags would come to symbolize something completely different than what I understood them to mean when I was running free as an adolescent. 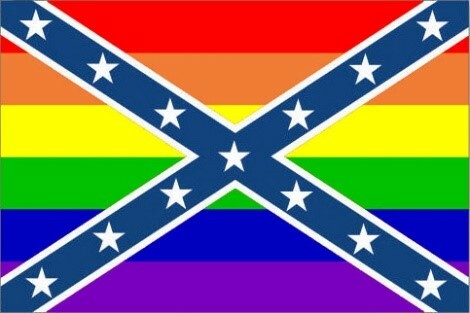 Rainbows and rebel flags have taken on a new meaning in American culture. They have become symbols of movements. Two movements representing ideologies contrary to a Christian worldview. Now when I see rainbow paraphernalia, I immediately think “gay-rights movement.” Now when I see a rebel flag, I immediately think “racism.” Both symbols have been hijacked by groups that didn’t create them. And years later, we’ve been conditioned by culture to think differently about these symbols. That’s the power of media, the influence of the authorities that be, and the sway of those with the loudest voice. However, if you listen close, you can hear the small still voice in the midst of all the noise. Yes, God is still speaking. As God whispers and I truly open my ears the first thing I learn is that although culture has a way of redefining things, Jesus has a way of meeting people in the midst of culture. He meets people where they’re at and loves them like they are. Through that interaction Jesus changes people. 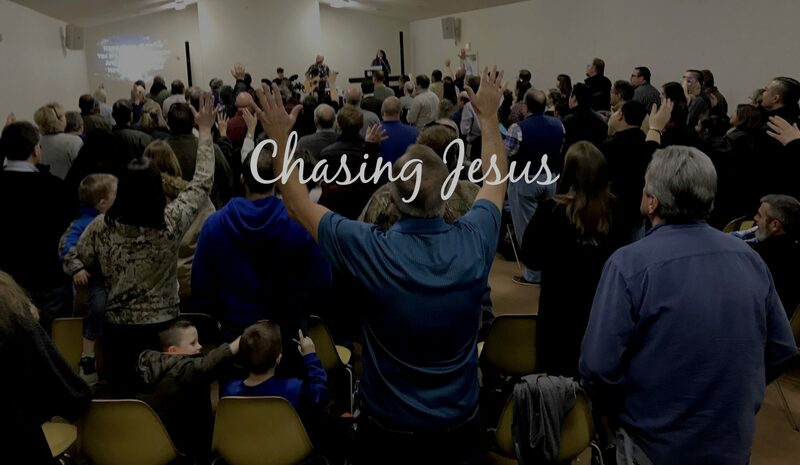 He never leaves them where he meets them… that’s the power of the gospel. First, I don’t think Jesus would fly a rebel flag because he loves people too much and that flag has for too long been associated with racial tension and hate. He loves people of all ethnicities and would never use any symbol that would divide, draw lines, or cause pain, therefore neither can I. As much as I love southern culture, my allegiance is with another Kingdom, and for his Kingdom I lay down my rights. Second, I don’t think Jesus would march in a gay-pride parade toting a rainbow banner. I believe he validated the divine institution of marriage in scripture: “Haven’t you read… that at the beginning the Creator ‘made them male and female,’ and said, ‘For this reason a man will leave his father and mother and be united to his wife, and the two will become one flesh’? So they are no longer two, but one flesh. Therefore what God has joined together, let no one separate” (Matt. 19:4-6). So, what would Jesus do? He would sit down with anyone from the LGBT community, love them, and tell them about God’s plan for their life. He would invite them to abandon their lifestyle and follow him. He would also sit down with the racist and invite that person to lay down their life, including their hate, and follow him. He would invite them to a changed life, a life that offers them a new citizenship and pledges allegiance to a new King. Jesus would offer them a new way of thinking: a new worldview. Love won when Jesus laid down his life on the cross, and love wins when we follow suit. So, love people the way God does. Point them to Jesus. Stop fighting for rights. Stop believing you’re entitled to something. All you’ve been invited to do is follow Jesus, and that’s a privilege, not a right. Rainbows and rebel flags don’t symbolize anything worth pledging allegiance to… but the Cross of Christ, that’s something worthy of our lives. This is by KY District’s Superintendent. Extremely well-written! Great reminder to simply LOVE. The cross does all of these things, too. We’re just on the side that sees the reality through the culture’s hijacked perspective, and refuses to surrender to it. Why stand by that principle with one symbol, but not the other two? Awesome read! Thank you for sharing. Thank you. I agree with you. Well written. God bless. While I believe in your slightly stilted, halting acceptance of the removal of the rebel flag, I decry your stance on gays and gay rights. If you truly believe in Jesus, then you would know that his motto was “love thy neighbor”. In all of the Bible, I do not believe that Jesus ever once said a cross word against “gay” marriage. If so, I challenge you to show me the book and verse. I think there is a certain amount of hatred and bigotism that is derived from your “scripture”. Exactly the same as when scripture was used to defend slavery, subjugation of women, etc. Where is the reply I just made? The fact that you need to moderate replies says something about how you view the world. Not harshing in you for it but, if you won’t let people post a wel thought out, intelligent rebuttal to your “inspired” post than you should think about your Christian ideals a little more deeply.